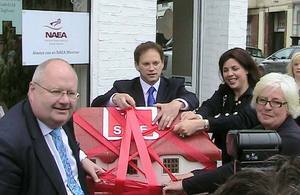 Home Information Packs (HIPs) were not trusted and it was right to scrap them, Housing Minister Grant Shapps has said. Home Information Packs were suspended by the new government within days to provide certainty to the property market, and help it during the recovery by reducing the cost of selling a home. Now independent research shows home buyers were ‘very concerned’ about the reliability of information they were receiving in Home Information Packs. The research by Ipsos Mori found that while over 90% of people buying a house wanted information about its condition, fewer than 1 in 6 trusted this information when provided by the seller. And more experienced buyers preferred to use an informal inspection by a builder, plumber or electrician who they already knew rather than use a condition survey. It was always obvious that Home Information Packs were deeply unpopular with people selling homes because they created needless cost and hassle. What is now clear is that people buying homes didn’t rate them either. People who buy and sell homes want to know more about their condition, but forcing them to swap bits of information they don’t want or trust is a foolish way to try and improve the property market. Mr Shapps said in future it would be the housing sector that develops products that provide consumers with information about a home’s condition. This information will be exchanged between buyers and sellers on a strictly voluntary basis, and will ensure people buying homes only get the information they actually want, and that they know they can trust. The end of Home Information Packs has already seen a jump in the number of properties being put on the market, and will save consumers an estimated £870 million over 10 years.